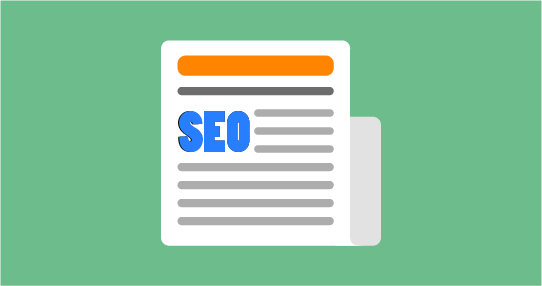 In this first of a two-part guide to SEO for editorial teams and journalists, Mark Nunney introduces editors to the basics of SEO and gives a step-by-step process that puts editorial at the heart of your SEO. Editorial teams are often put into the front line of SEO. That’s quite right because editorial is the front line of SEO. Of course there are important technical aspects to SEO involving code, URLs, redirects, robots files, rel canonicals and the like. And many SEOs are techies by background so this side of SEO continues to get much emphasis. But all that technical business is a bit like the mechanical work on a racing car. It’s important but it won't win you any races. To win you need strategy, a game plan and a driver. SEO needs links and the better your editorial the more and better your links are going to be. Editors will often complain that SEO is the enemy of editorial. "A good story should never be a slave to a keyword or a search engine", might be the cry. I agree. SEO should not get in the way of the process of producing quality editorial. Dear Editor, what’s in SEO for you? 1) More readers for your stories. 2) Get promoted and earn more money. If yours are the stories that get the most readers, mentions and response, that should help you when it comes to promotion, applying for new jobs and pay rises. A keyword is a word or phrase used to make a search. Annoying, I know, but a keyword is not a single word. In the image below, half marathon training is a keyword. As are all the suggestions Google is making. Target keywords are the keywords you would like your website to be top for on search engines’ results pages. Making a list of target keywords is quite simple. Prioritizing those keywords is a little harder. Your target list might contain hundreds or even thousands of keywords so someone is going to have to prioritize them as you can’t target them all at once. Links within your site are important. Links from other sites to yours are very important. Google sees links from one site to another as a vote of confidence in that site. You might be thinking "can’t we just buy some links?" And you can. But get caught by Google and you might get penalized and lose lots of traffic. The best way to get links is to earn them with your quality editorial. A text link is a link that is text (and not an image). You can often spot link text because it’s blue and underlined like this link text. With a text link, Google associates the vote of confidence (the link) with the text in the link. So if marathon training is a target keyword it will greatly increase your chances of ranking well for marathon training if other sites links to yours with marathon training in the link text. Then you’ll get links that use your headline and therefore contain marathon training in the link text. See how important quality editorial is for SEO? 100 billion searches were made on search engines in 2009. Use Google Analytics (or other analytics software) to find out how many of those reached your website. The image below is from a Google Analytics (GA) Keywords report that shows a site’s 129,877 ‘organic’ (non-paid) visits from search engines in one month. 83% of those 69,995 keywords brought just one visit. It’s clearly not possible or practical to target 70,000 different keywords. And why bother targeting a keyword that brings just one visit? Plus, if you only target those few keywords that can bring the most visits (your ‘head’ keywords), you miss out on the long tail. The answer to this dilemma is to target groups of keywords which we’ll call keyword niches. Target keyword niches and you are targeting thousands of keywords at a time. Keep each page focused on one subject if you can. Find a target keyword that matches that subject. Great headlines will get your story read, passed on to others and linked to. Remember headlines will appear in link text because headlines are used to link to stories. Left is an image of a famous newspaper headline from the United Kingdom during the Falklands War, written when the British Navy controversially sunk the General Belgrano, an Argentinean cruiser. This headline has been used by SEOs in the past to illustrate how not to write an optimized headline. ‘Gotcha’ is not going to be any site’s target keyword, it’s been said. Agreed, but a great headline will get more useful link power than a dull one. So keep your ‘Gotcha’ headlines. Also, with that particular headline, it’s quite easy to include some target keywords by adding ‘Argentinean’ or the ship’s name to the full headline. Edit your pages’ title tags in your site’s content management system (CMS). Don’t leave it to a default setting. Focus on your page’s target keywords (put them first) which must (of course) be relevant to the page’s content. Keep it short - approx 10 words max. If you can, make it more interesting. Enticing even. Add your site or brand name to the end. But that’s often too long. Long URLs might get broken when used. Or they might not get used because they are so unwieldy. For more detail on optimizing your pages see How to successfully optimize a page for over 10,000 keywords. Sites with more than 10 or 20 pages will likely need category pages. A category page lists links to related pages. Eg, on a site about cars, the sports car category page will list links to pages about sports cars. To be listed on the sports car category page, a content page (an article blog post, or video etc) must be categorized as such. Your site’s categories are usually your major target keywords. The organization of your categories and any sub categories is your site’s taxonomy. And this taxonomy is the skeleton of your SEO. Your editorial content pages are its body and muscle. SEO without a considered taxonomy is a waste of time. Planning the taxonomy, building the pages and accompanying navigation is likely not part of an editor’s brief. If you're interested, read more about how to plan your site structure here. The job is the responsibility of the publisher or webmaster (whoever is in charge). Therefore SEO is firstly the publisher’s responsibility. So editors: next time the boss asks you what you’re doing about getting more visits from search engines, if there is no optimized taxonomy and matching category pages – politely tell them whose fault it is. If you have a lot of categories, prioritize them. Which are the most important? Which are (or can) bring the most response? Imagine your categories are buckets and fill them with quality editorial content. Do nothing else and (if your taxonomy has been carefully planned with SEO in mind) you will be well on the way to optimizing your site for search engines. Treat each category page like a new website’s homepage. Make each category page the kind of page a user will bookmark, pass on and want to come back to for more information. Wordtracker Keyword research tool Search for more keywords containing your seed keyword. Also search for ‘related keywords’. Use the filters to find the questions that are being asked on search engines with your seed keyword.